Mom's Gone Bronson! 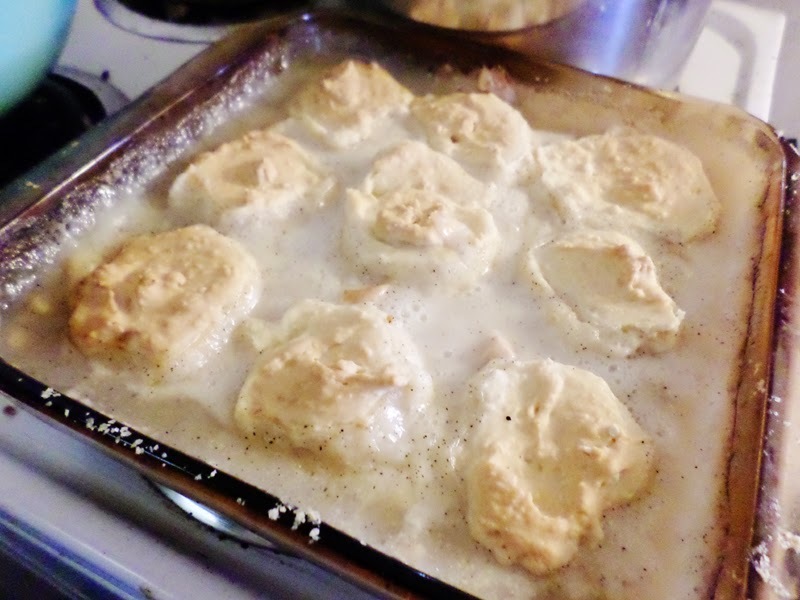 : Boxed Meal Adventures: Banquet Homestyle Bakes Chicken, Mashed Potatoes & Biscuits! 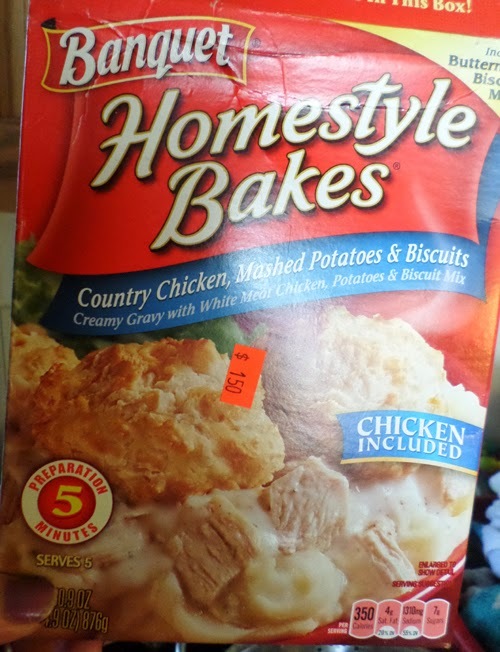 Boxed Meal Adventures: Banquet Homestyle Bakes Chicken, Mashed Potatoes & Biscuits! I shop a lot at a local bargain store, which has ridiculously low prices on products and where you can actually get some great deals if you dig deep enough and I do find a lot of foods that I would never usually think of buying and pick them up because the price is worth the try! Last week I picked up this Banquet Homestyle Bakes Chicken, Mashed Potatoes & Biscuits boxed meal, which is supposed to feed 5 and so thought: "why not!?" and popped it into my cart! For $1.50 it was a good deal. While I do love to cook from scratch, I am not at all against using a boxed meal or some kind of help if you want it and the key is to find some healthy balance of the two or working it out and I thought this particular choice would pair well with a full salad or vegetable sides. It was really easy to put together and everything needed to bring it to fruition really was in the box. Just layer as directed and mix up the biscuits to place on top - the chicken sauce comes in a can and is included so everything is there. You throw it all in your dish in under 5 minutes and then put in the oven to bake until the biscuits on top are nice and golden. I wasn't really sure how it would look when done as it looked a lot less before those biscuits fluffed up in the oven but actually, the whole dish came out very nice for something that took 5 minutes to put together from a box! 2 or 3 of the biscuits were enough to serve a person with the potatoes and sauce underneath and it was easy to work the meal around our family as the younger children needed less and the older had extra if they wanted it, which he did - which is a miracle as he is our picky eater, so that says a LOT for this meal. I honestly can say that I would pick this up again if I see it at the store in the future, especially at $1.50! If you were shopping in a regular store then this might set you back about $3.50 at major retailers and that is still a great price for an easy dinner option when you might be on the go or just do not feel like putting out the effort on a busy or lazy evening! Everyone in the house ate this without hesitation and so therefore it gets a big thumbs up! Got a boxed or ready prepared meal you love and want to share with me? I would love to hear from you and give it a try! 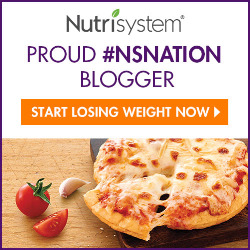 Email me your favorites HERE with the subject "Boxed and Ready Meals" and I might feature you on our blog!! Disclaimer: I was not in any way compensated for this post, all opinions are my own and your views may differ.